It has been estimated that between increasing standards of living and increasing population, there will be 1.5 to 2 times as much demand for food as there is today by mid century. To meet that demand without adding more farmed land, the current farms must achieve greater productivity per acre or hectare. The challenge is to do that without increased, and hopefully decreased, environmental impact. As challenging as that sounds, I actually believe that this is possible because of a number of agricultural advances that have been made over the past few decades. I'm not saying it is obvious that we will get there, just that it is possible. As part of my consulting business, I have had the privilege to spend time reading hundreds of scholarly articles about agricultural sustainability. Over the past few decades there has been an extensive research effort to quantify the environmental problems/benefits of various farming practices. I have not conducted any of this research myself, but I have had the chance to digest it and learn from all the hard work that was involved. 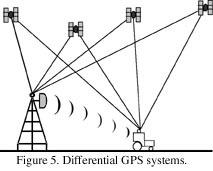 Many of the studies were based on field research over many years, often 10 or more. This academic research has also been complimented by commercial innovation on the part of farm equipment companies, agricultural chemical companies, seed companies and other commercial entities. The most important aspect of this innovation cycle is that progressive farmers have tested, integrated, and perfected the new farming options that flow from the academic/commercial activity. What emerges from all of this effort is a vision of the kind of agriculture that could not only feed the world, but do it in an age of climate change and with far less impact on the environment than has been the case in the past. When soils are plowed or otherwise disturbed, the organic matter content declines and with it the complex aggregate structures and biological systems of the soil. When soils are farmed with "no-till" systems or related options, the soil organic matter is preserved and soil "health" is enhanced. This practice also leads to less fuel use, far less erosion, and thus less off-site movement of fertilizers or pesticides. Minimum tillage systems require specialized equipment. 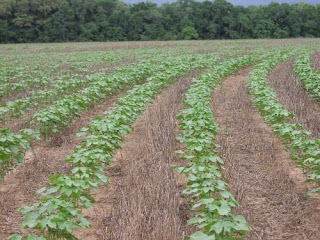 They are aided by good seed treatments and genetics, by either herbicide tolerance traits or selective herbicides. The transition to a minimum tillage regime can take several years and during that time there are some risks particularly during cold springs. No-till systems have been in commercial development since 1960. The land were most US, rain-fed crops are grown was once a prairie biome. That system had a mix of annual and mostly perennial plant species. The annual crops that are now planted in this area are only growing, and thus feeding the soil, for a part of the year. A cover crop is planted to grow after the main annual crop and before the next planting. 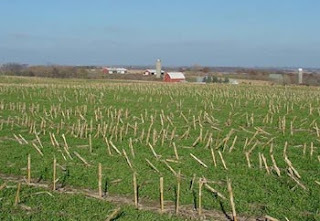 A cover crop after an annual crop is the best substitute for the perennial systems that preceded farming of the Midwest. Cover crops can be used either to tie up excess nutrients from the previous crop or to generate more nutrients for the next crop (e.g. a legume). They further reduce erosion and contribute to the storage of carbon in soils. Most farmers recognize the benefits of cover cropping and the main barrier to their use is the logistics of planting them during the busy harvest season. When minimum tillage and cover cropping are combined, the development of soil health is optimized. Such soils are also more efficient at capturing rainfall and at holding on to the moisture. Over time the soils become increasingly "drought proofed" which will be of great value in an age of climate change. One problem has discouraged many farmers from continuing in no-till. After some years without plowing, the soils can suffer from compaction. Growers describe them as feeling "tight," and they often feel the need to break out the plow. A more recent technology can prevent this compaction issue. It is called "Controlled Wheel Traffic" and it uses enhanced GPS to guide the tractors and far implements so accurately, that no wheel ever rolls over most of the area of the field. By preventing soil compaction, this technology greatly reduces the production of nitrous oxide during wet periods. Nitrous oxide is greater than 300 times as potent as Carbon dioxide as a greenhouse gas, and is often the single largest contributor to the carbon footprint of farming. One of the greatest ecological challenges for farming is the efficiency of fertilizer uptake. 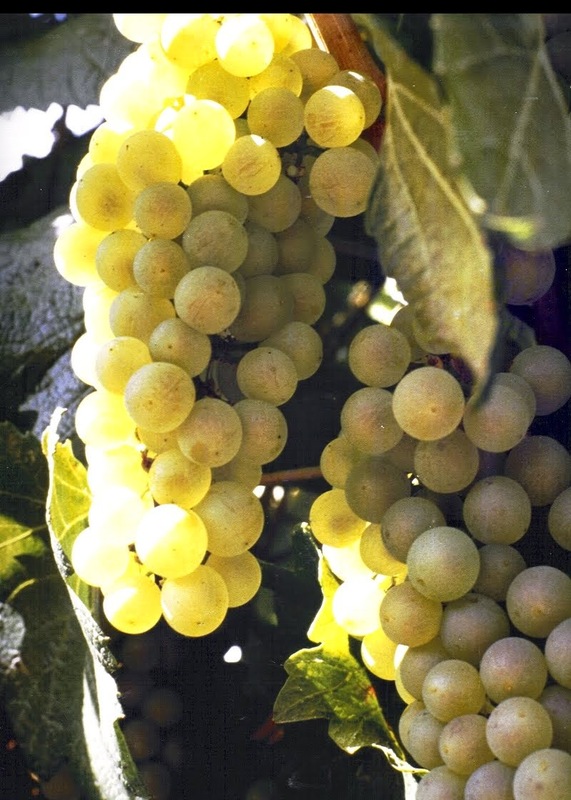 The growing crop has a certain pattern of uptake from the soil that changes throughout the season. There can be periods before or after the peak plant demand when fertilizers can be lost to surface or ground water or to the atmosphere. In all those cases the lost fertilizer can cause pollution and/or greenhouse gas problems. Farmers now have the tools to minimize those losses as much as possible. "Precision Fertilization" is really a combination of practices through which the fertilizer is precisely placed where the plant is likely to find it easily and applied at rates which differ across the field. 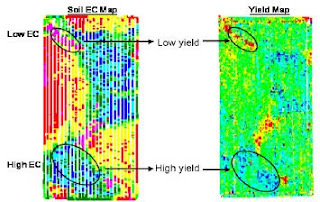 Extensive data is collected through devices like a GPS enabled "yield monitor", by soil sampling, and even by real-time infra-red monitoring of the nutrient status of the crop. Specialized fertilizer applicators then apply less fertilizer or more fertilizer as needed for each spot in the field. This not only saves money by requiring less total fertilizer, it increases yields by avoiding inadequate fertilization of some parts of the field. The addition of variable rate, precision fertilization, combined with the improved soil characteristics from the three practices above, can almost eliminate nitrate and phosphate pollution issues. To achieve the sort of yields that will be needed in the future, it will be necessary to control the yield losses that can occur because of weeds, insects and diseases. This will by necessity involve the use of pesticides, but by using Integrated Pest Management (IPM), farmers can do this is a way that is safe for humans and safe for the environment. Over the last two decades, there has been enormous progress in finding new pesticide options which are intrinsically low in mammalian toxicity and very soft on the environment. They also tend to be used at much lower rates. That can be combined with only using pesticides if needed and fostering any degree of natural "biocontrol" that can occur. The growers also have to be careful to practice good "resistance management" strategies to preserve the utility of these tools. Insect resistance traits developed through biotechnology also help to reduce the need for insecticide sprays. All five of these technologies/practices are being used on a very significant scale in modern, conventional agriculture. They are not yet being used as widely as would be desirable, and I will explain why not in another post. Your forecasting for future cover crops farming is really true. A New Look At The American "Food Dollar"